Jerry Lewis — the longtime host of the Muscular Dystrophy Association’s Labor Day telethon — will step out of his retired role with the iconic charity that revolutionized philanthropic giving in America to help introduce MDA’s revitalized brand this Friday, Jan. 29, at an event in Carnegie Hall. Lewis, who hosted MDA’s telethon until 2011 when he last appeared as MDA National Chairman, taped a special message to the MDA community, urging continued support for MDA and the families he has championed for decades. 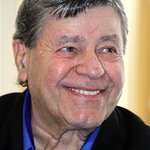 “Jerry Lewis’ heroic efforts on behalf of MDA families and through MDA telethons have enabled us to help millions of Americans living with muscle-debilitating diseases and make possible progress in research that was once thought unimaginable. We’re thrilled to build on our rich history and have Jerry’s support as we strengthen our mission and introduce the new MDA brand,” said MDA President and CEO Steven M. Derks.